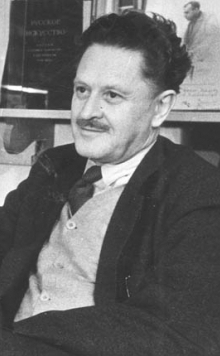 Nazim Hikmet- Letter to the Greek People. Trasmitted through the Radio Station of Warsaw. Source: Rizospastis, 9 June 2013. Translation in english: In Defense of Communism. There are two Turkeys and two Greeces. The real one and the fake one. The independent one and the slavish one. One is the Greece of Beloyannis and of the thousand of Greek patriots who suffer in the prisons. The homeland of the Greek people. This is the genuine Greece. It is Turkey with the thousand Turkish patriots who are rotting in the dungeons. The Turkey of the Turkish people. This is the genuine Turkey. There is the Turkey and Greece of Menderes and Plastiras. They are the official ones, not the real ones. They are those which with their few supporters sold out both countries to the american Imperialism. Recently, under the american blessings, Menderes and Plastiras shook hands in Athens. Their bloodstained hands, which send Turkish and Greek soldiers in Korea. Their bloodstained hands which prepare a new war. They even issued an official statement and talked about the Greek-Turkish friendship. We all understand this friendship. To hit together the fighters of the Turkish and Greek people, who are struggling for Independence, peace and freedom. To grind in the same american mincer children of the Greek and the Turkish people. To compel the people of Turkey and Greece to bend the head and worship their bosses and the bosses of their bosses. But the people of Turkey and Greece give a totally different meaning to the Greek-Turkish friendship. For them, the friendship means a common struggle for the freedom of their homeland. For national independence, for the happiness, in order to be able to taste side by side in the fraternal table of friendship, the bread and the olives of their own country. The Turkish and the Greek people want to send to hell the foreign conquerors. The experts for the torture and the experts for the economic disaster. In the hearts of the Turkish and Greek people there are the same feelings. Love for their homelands, love for the Soviet Union, for the People's Republics, the Great People's republic of China. (For) every independent or semi-independent people who struggles for national independence. Love for the Korean people. Love for the decent Americans. This is the meaning of the friendship between the Turkish and the Greek people. We must fight together, hand by hand for the national independence of our countries, for democracy against every expression of fascism, against the imperialists. Thus, our friendship will becoming day by day more powerful. As a representative of my people, I can say to you that the Turkish people love the Greek people and feel admiration for their heroic achievements. I can tell you, that the Turkish fighters were learning, even in the prison, the news from the liberation struggles of your people and of your people's army. I can tell you that they were hearing about the incidents in Greece with tears in their eyes. The Turkish people was by the side of the Greek people in these tragic and heroic days and will be in the future always by their side.